Manchester City manager Pep Guardiola is sweating over the fitness of Kevin De Bruyne ahead of the big game against Liverpool this week. After faltering over the festive period, the reigning champions have fallen seven points adrift of their title rivals after 20 games and surely cannot afford anything but three points at home to the Reds. 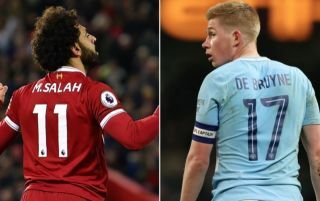 Given Liverpool remain unbeaten and have looked in ominous form all season, it will already be a big concern for Pep Guardiola and his men that they might not even be given an opportunity to close the gap by their rivals. In turn, their showdown this week takes on added importance as ultimately it gives City an opportunity to inflict a defeat and a potential psychological blow by securing a win, but Guardiola may be without influential midfield ace Kevin de Bruyne. check premier league odds at 888sport to see how much backing LFC could be worth to you in this game. De Bruyne has struggled with a knee injury for much of this season, and after picking up a recent muscle problem which ruled him out of action this past weekend, the City boss has now conceded that he isn’t sure if he will recover in time to face Liverpool. “I don’t know how he is,” Guardiola told Sky Sports. “Today he was not able to play, but it is not a big issue. Although De Bruyne has been limited to just six Premier League appearances so far this season, there is no doubt over what he brings to the table as he is a fundamental figure in this City side. While he may not be in top form currently, it remains to be seen if the hosts miss his presence in the side if he is indeed ruled out with Jurgen Klopp desperate to see his men land what could be a decisive blow in the title race.